Throughout his short and blistering career, Taika Waititi has served up quirky indie romance in Eagle Vs. Shark and cast blinding light on a house filled with vampires in the really rather excellent horror comedy, What We Do In The Shadows. It’s enough to give ardent Marvelites a tease of what’s to come, too, considering that the New Zealand filmmaker is set to helm next year’s Thor: Raganrok. But before whisking moviegoers back to the decadent halls of Asgard, Waititi is on the verge of releasing a much more intimate adventure in Hunt For the Wilderpeople. 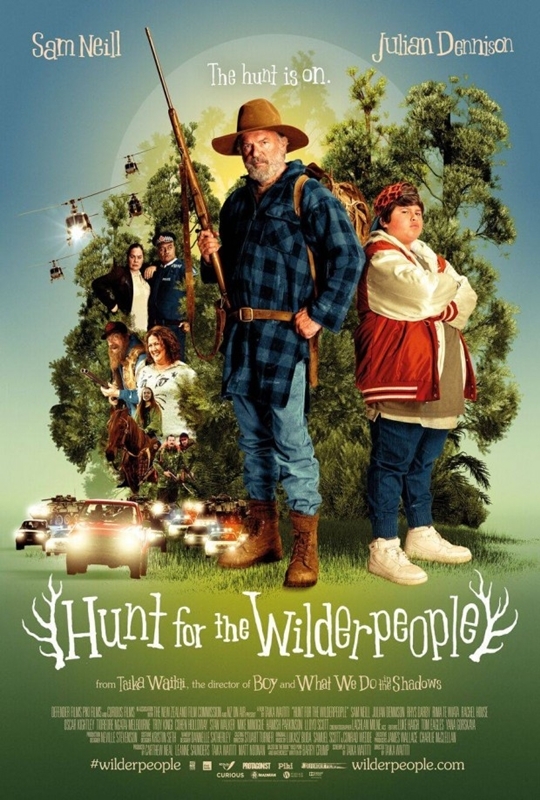 Lifting inspiration from Barry Crump’s acclaimed 1995 adventure novel Wild Pork And Watercressa, Hunt for the Wilderpeople places Sam Neill in the shoes of Hec, a grizzled and curmudgeonly foster uncle who reluctantly agrees to take care of Ricky, a stubborn city kid (Julian Dennison). As an unlikely pair of not-so-happy campers, the dynamic between both leads makes for a heartwarming journey, and we’re excited to see that adventure play out in full come June. Rounding out the starry ensemble are Rima Te Wiata, Rhys Darby, Rachel House, Oscar Kightley, Tioreore Ngatai-Melbourne, Troy Kingi, Cohen Holloway, Stan Walker, Mike Minogue, Hamish Parkinson and Lloyd Scott. Having already premiered in Waititi’s native home of New Zealand earlier this month, Hunt for the Wilderpeople plots course for US theaters on June 24. To get the skinny on the director’s hearty adventure, check out our glowing review coming out of Tribeca 2016.